If System-state Backup is in place. You do no need any Scripts as above. 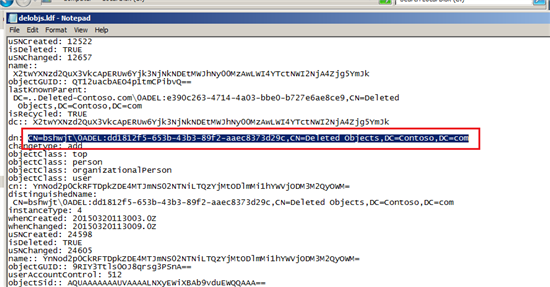 You may get issue when using dsamain; see the below link for resolution. Lots of free Tools & Scripts are available in internet for restoring the AD objects but restoring the Group-membership is required very long script or we need to use 3rd party tools. We have ADRestore.net & OIRECMgr.Exe and so many. Here we are not going to use any tools, neither 3rd party nor in house build tool. I will take simple attribute backup weekly once. You can plan that according to your company. That attribute backup file is .csv file. 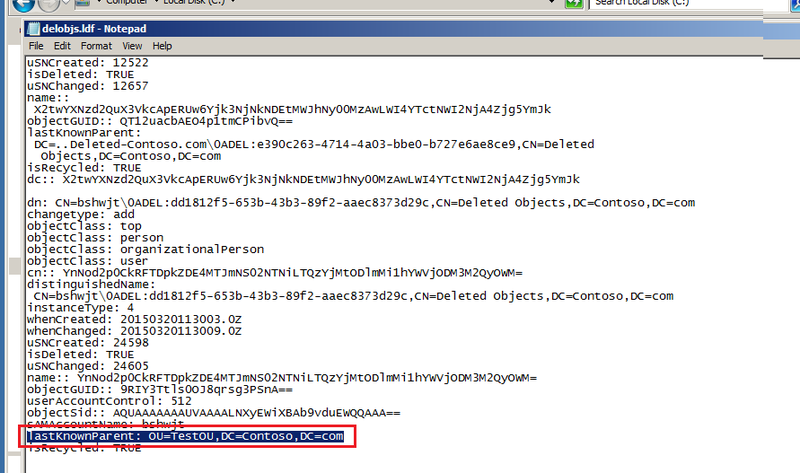 Now if you want restore any AD object use powershell. I will show you step by step. Here FFL & DFL is Windows 2003 so Recycle Bin is not supported. Windows 2008R2 , Windows 2012 & Windows 2012 R2 . Tested on FFL & DFL Windows 2003. All AD groups’ memberof & member backup. Schedule it weekly once. All AD User’ memberof backup. Schedule it weekly once. All AD User’ all attrs backup. Schedule it weekly once. 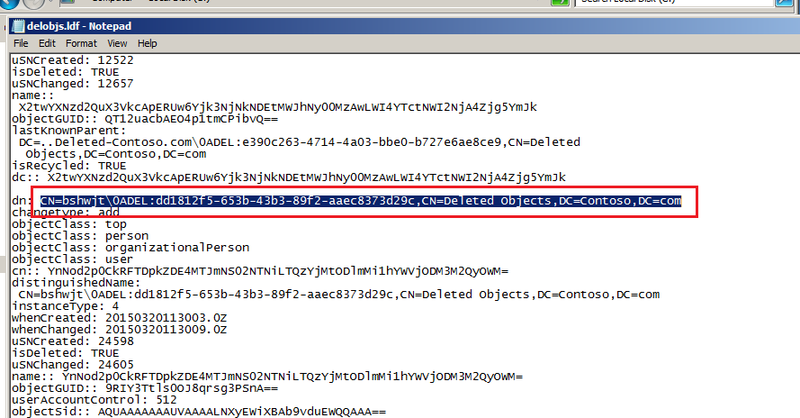 This script is not able to take the memberof & member attributes backup hence I have written separate script for that. You can make that in a single script. Open that using Notepad & Copy the “DN” & “lastKnownParent” of that deleted Object. Already I have deleted one account called “bshwjt”. 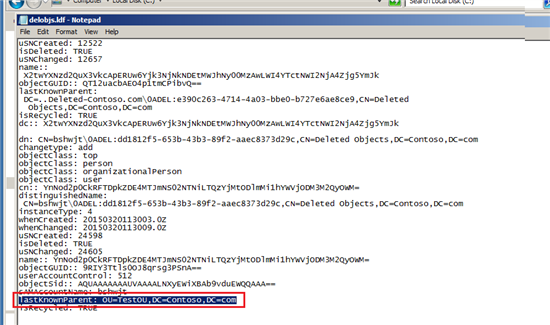 Run the below Powershell command along with the deleted object “DN” & “lastKnownParent”. Restore-ADObject -Identity "CN=bshwjt\0ADEL:dd1812f5-653b-43b3-89f2-aaec8373d29c,CN=Deleted Objects,DC=Contoso,DC=com" -NewName "bshjwt" -TargetPath "OU=TestOU,DC=Contoso,DC=com"
User restoration is done. Reset that user password & enable that account. 1) There is no 3rd party tool is involved. 2) Cost is also not involved. Please note: Tested on Windows 2003 FFL & DFL. 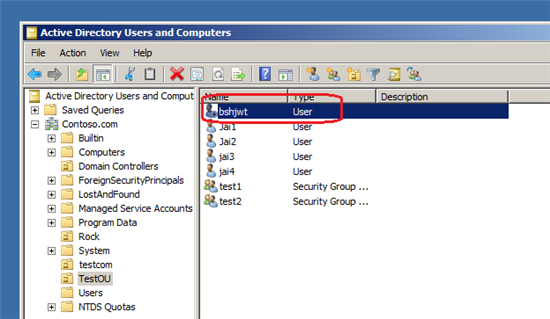 DCs are Windows 2008 R2. Also if you have system state backup of your Windows 2008 R2 DC. You can mount that backup using dsamain & verify the groupmembership without downtime. Note: Disclaimer: This posting is provided & with no warranties or guarantees and confers no rights.